As you sneak through an underground tunnel that you’ve just discovered, taking out cameras and hiding dead bodies that should just be unconscious (but you’re bad at this), it’s easy to forget how clever Hitman 2 is. Discovery begets invention, paving the way for the kill, and although IO’s latest take on their murder-sim doesn’t veer too far from the previous game’s reinvention, it spends time re-enforcing what made it so good to begin with. The new locations to explore, and little tweaks to the overall experience, allow for even more murder customisation than before. 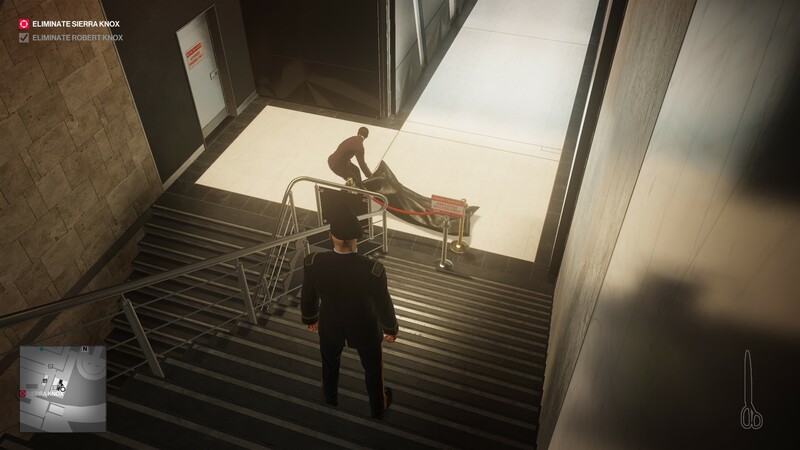 What truly makes Hitman 2, mind you, is the sheer amount of ways to take out your target. While this new game ratchets up the number of assassination targets to the point that most missions have two or three people to take out, it’s also ridiculous how different each playthrough of a level can be. You might spend an hour on your first visit to Miami, and to then be greeted by a list of alternate ways in which you could have killed the target is tantalising. The game is egging you on to be better, to do more. Take the Isle of Sgàil, for example. First time out, I managed to spend the best part of an hour tailing both targets, save-scumming my way around the narrow corridors trying desperately to find a civilian I could half-inch a suitable disguise from, only to end the mission hiding in a thicket, shooting the final victim in the head and legging it to safety. It’s an inauspicious way to finish the game’s final hit, but repeated attempts allowed my 47 to play around with coffins and fire a huge cannon. Then there was the time I, in disguise, took part in a clandestine meeting to shape the world, in which I voted in the chairperson’s favour before offing her on the staircase and once again legging it. Note the theme: there’s no shame in getting out of dodge while imagining the Benny Hill tune is playing in the background, because a bad kill is still a kill, and even a relative success is a learning experience. Small changes to the actual nuts and bolts make it feel like more than just Hitman 1.5, such as the new ability to sneak in long grass, or that when 47 wanders in front of a security camera you can now see what it recorded. The previous game’s Opportunities system returns, flagging up when an assassination method is being revealed. You can switch them off if you hate the idea of being helped in any way, but they often point you to the more melodramatic ways to execute a mission, which is great. The locations themselves are enormous, and packed with people to knock out and costumes to steal. India and Colombia in particular are fantastic, giving a real sense of place with intricate connected locales within a larger level. Mumbai is a bustling city that introduces the idea that you might not even know what your target looks like. Sure, there are targets you’re aware of, but you also need to spend time exploring your surroundings to locate them. It might be a photo lying around in a street gang’s house, or a would-be journalist who thinks he’s found the guy you’re looking for but, unfortunately, will need knocking out so you can steal the info he has on the target. Even then, you have to actually find your guy. There was his secret lover, the flag she raises to beckon him, and, well, you’ll have to do it your way, but my way felt amazing. Colombia’s posh mansion is where you get the opportunity to cosplay as a famous tattoo artist, even taking selfies with your target’s wife. 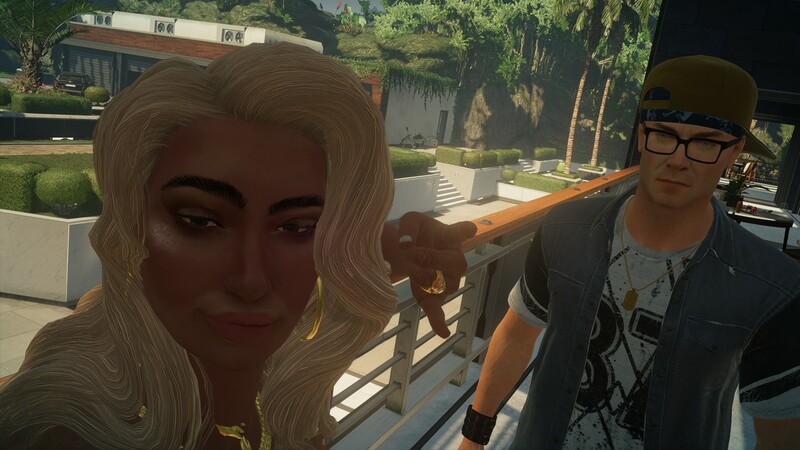 The people help these places feel alive, and although there’s nobody quite on the level of Helmut Kruger, the previous game’s stony-faced fashion model, I have a sneaking suspicion that the douchey-tattoo-guy murder will end up a fan fave for how funny it is. But Colombia also has drug fields, urban areas, underground caves, paramilitary outfits and loads of other, non-tattoo artist disguises to wear. It feels like a real, believable location, both random and scripted, yet every object and person was popped onto the map with deliberate forethought. Miami is another big map, and the place I had most success. Using high-end technology against the inventor and getting a clean kill felt superb, but swapping multiple disguises to burrow deep into a secure medical zone, pose as a paramedic, and give a lethal injection to a racecar driver shouldn’t feel as satisfying as it did. Whittleton Creek in the USA, meanwhile, is mid-sized, and probably the most beautiful level. A snapshot of small-town White America with all the backyard barbecues you can handle and it might be the pick of the bunch due to the volume of opportunities available. The North Atlantic map is smaller, and where you have a feeling of freedom in the larger spaces, this feels almost claustrophobic, and is more difficult because of the increased proximity to bystanders.Yes, more difficulty in a later level is understandable, but this area also removes some of the fun. Disguises are harder to come by without being spotted, and even when you’re in costume there are more NPCs who know you aren’t Generic Guard Guy and will call you out repeatedly. This map is one only the people who love it hard will revisit because it tightens the reins on 47 in a way the others don’t. That isn’t to say any of them are easy, but this one feels harder overall. Though this game isn’t delivered episodically, each of these missions is bookended with a very serious story cutscene. IO say they know the game is funny, but the story remains forgettable and feels out of place — though not a massive blot on the record, because it can be easily ignored. 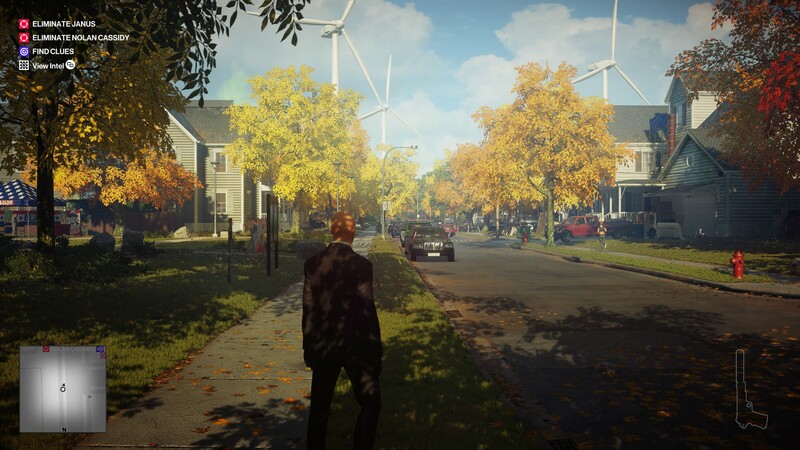 It’s just as enjoyable to pretend 47 is out on isolated hits with no connection, even more so because IOI is supporting Hitman 2 by adding all the levels from Hitman (free if you already own that game) and planned post-launch DLC. The ever-popular Elusive Targets are back too; the first drops on November 20 and will give you just 10 days to assassinate Sean Bean. 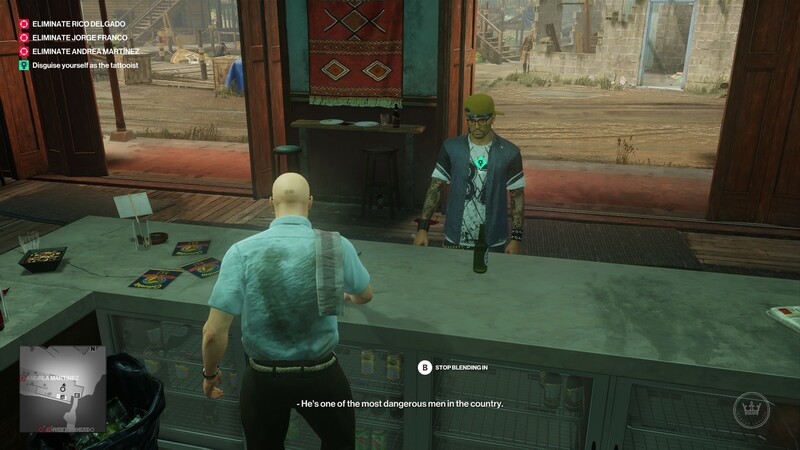 Previous Hitman games have dabbled with competitive modes, with players able to create, share and compete against one another in assassination challenges. Hitman 2 expands that idea with the Ghost Mode beta, a more robust multiplayer mode in which you compete against another player to score points by taking out targets first. Although you and your rival Agent are visible to one another in the same level, your actions only affect your version of reality. I wasn’t able to properly test the mode due to unpopulated pre-release servers, but the idea is superb. But let’s face it, hoofing wrenches at people in single player never gets old. Blend in all you like, but standing up and leathering someone with a coke can doesn’t stop being funny even after the 30th time. 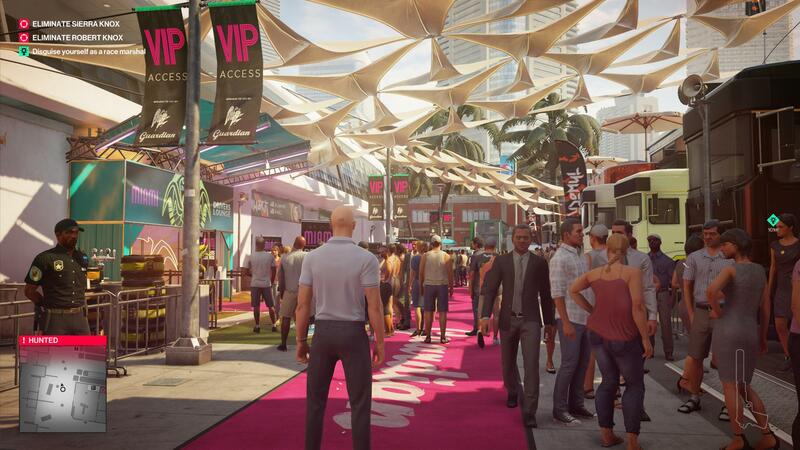 Hitman 2 is about possibilities; the maps, weapons, and disguises all make it sing. Patience is it’s own reward: if you study your foes, if you watch the movement of guards, the placement of certain elements, you’ll get back what you put in. Aside from knocking the drab story on the head, it’s tough to know what more I could have wanted from Hitman 2. It’s here for you to mess with it, to try and push the AI routines and bring them to breaking point. It’s as gamey as they come, but it’s a developer having fun, and inviting you to join in. Tagged with Bestest Bests, feature, IO Interactive, review, RPS Recommended, Warner Bros. Interactive Entertainment, wot i think, Hitman 2.